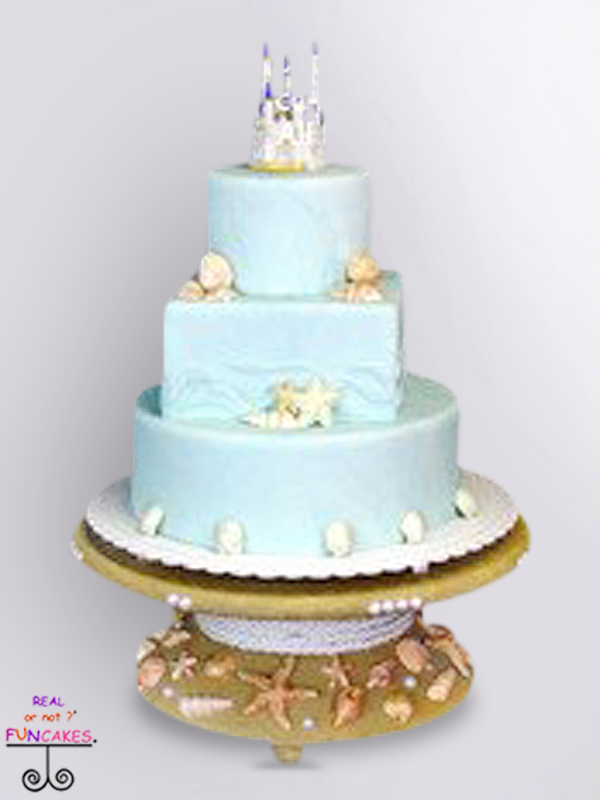 The Tess Seashell & Sand Round Cake stand is a custom design cake stand by FunCakes. Hand crafted from wood, a classic design was created with a beautiful pedestal. The Tess stand is then covered in real sand, glued to create an amazing glaze of sand, that stays put and does not make a mess. The center of the pedestal is covered in white rope. Finally. the stand is decorated with sea shells formed from gum paste which are hand painted. This is the perfect cake stand for any Nautical or Seaside wedding.